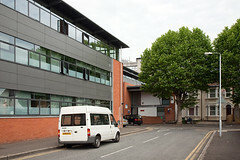 The Clinical Education Centre is now the home of the former London Foot Hospital, previously operating from Fitzroy Square in the west end. 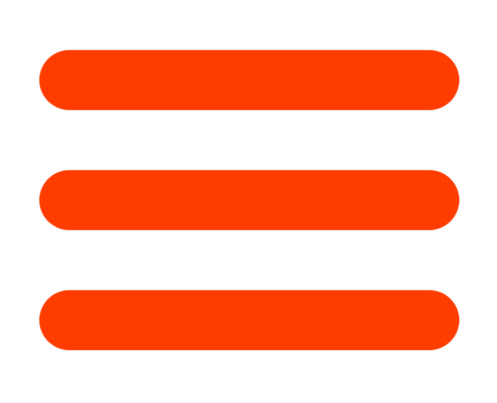 On a limited budget, the aim is to produce an exemplary treatment of podiatry patients. 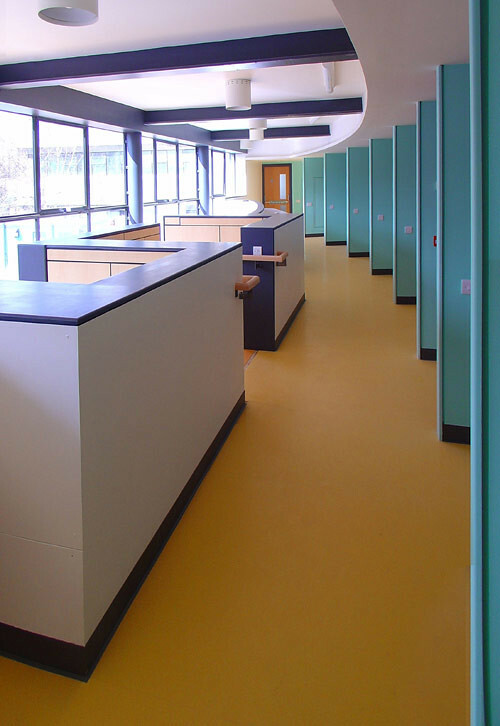 Issues of patient privacy have been examined and our solution is a two storey space with cubicles arranged in a gentle curve. 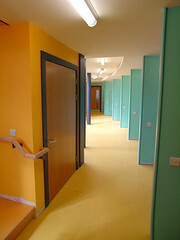 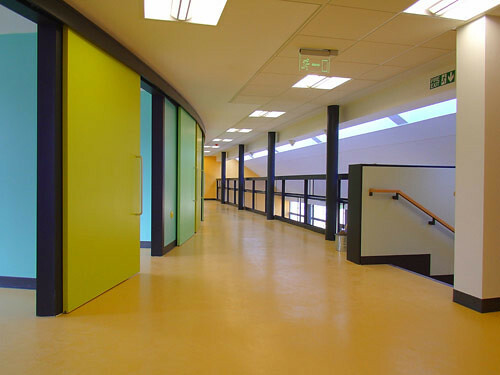 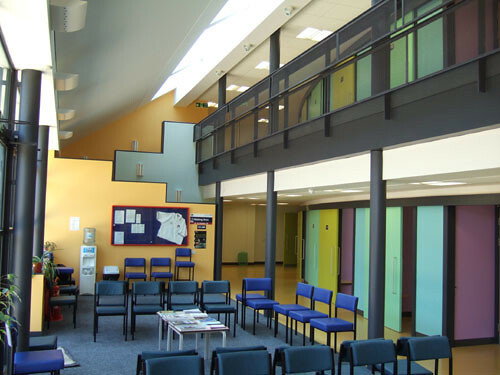 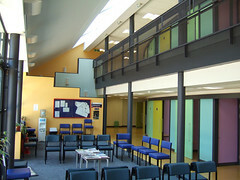 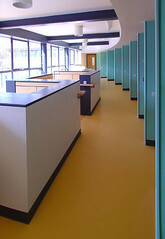 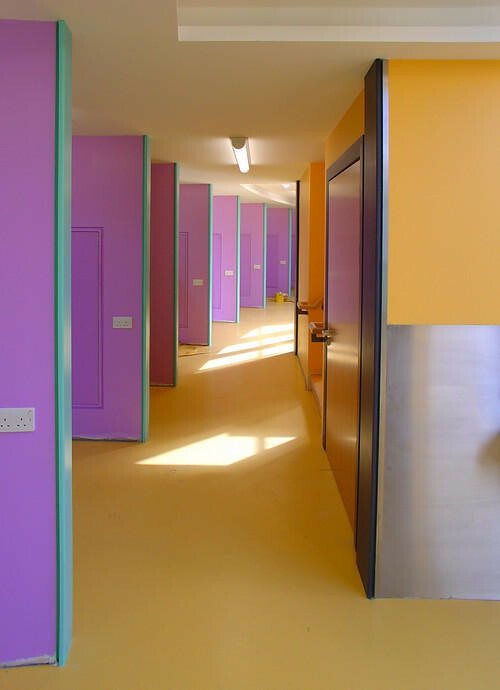 Patients access the space from the waiting area via individual doors to their respective cubicles, (in the manner of opera boxes in an opera house!) and every patient has a view of the green. In this way patients do not see other patients being treated and at the same time academic staff are easily able to supervise the six students in their charge. 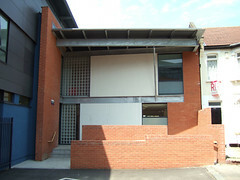 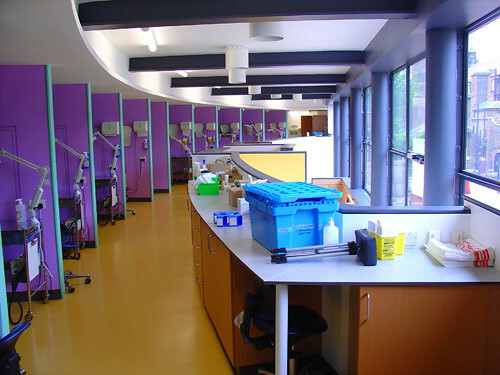 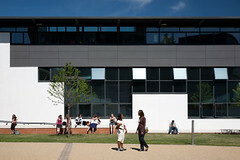 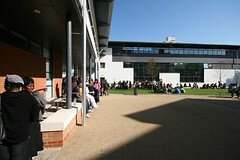 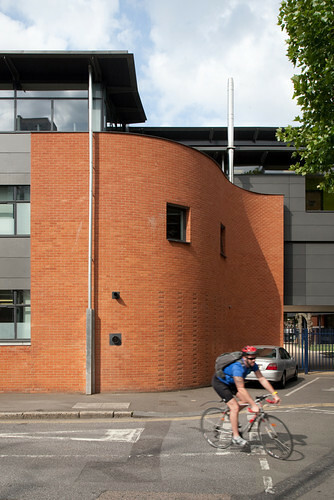 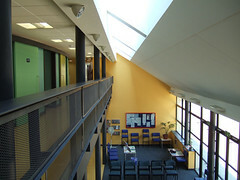 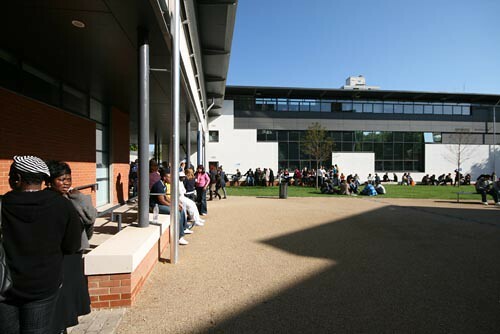 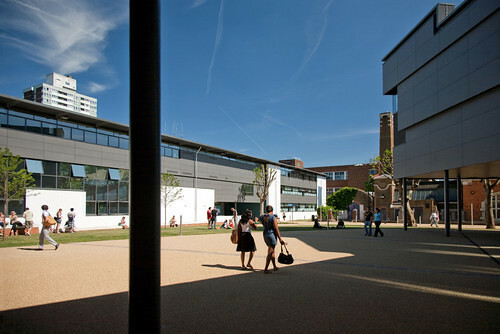 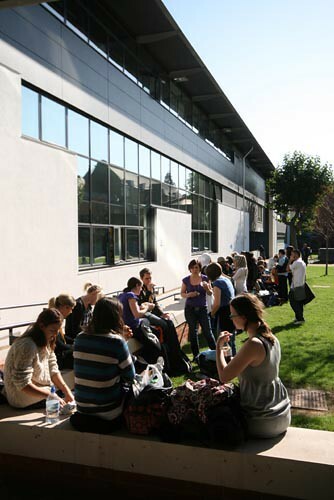 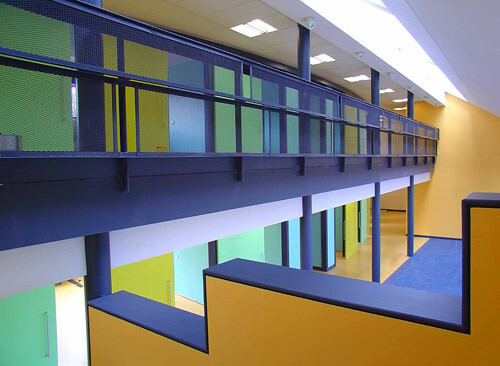 The building goes over the former road "The Green" connecting to four physiotherapy laboratories on the south side, a laboratory of physiology and on the roof a sports science laboratory which has additional external accommodation on a roof terrace. 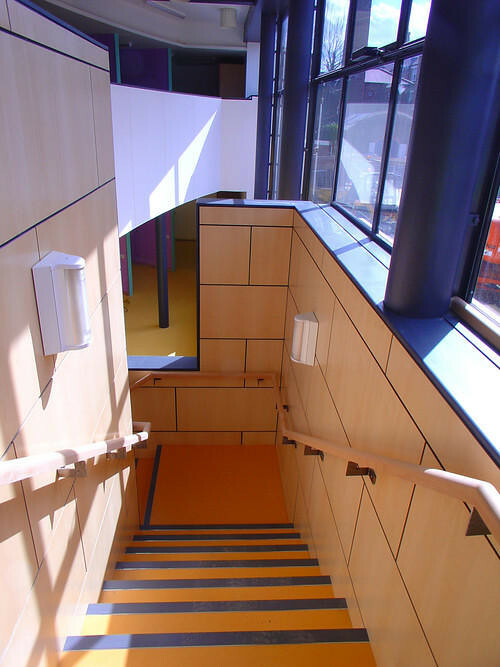 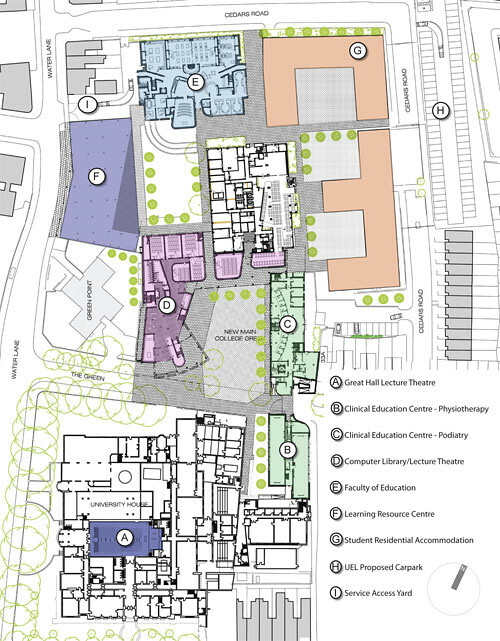 Finally on the top floor of the podiatry section is found all the semi-public facilities such as biomechanics and gait analysis and at this point the building steps back in plan to allow light to penetrate to existing adjacent gardens. 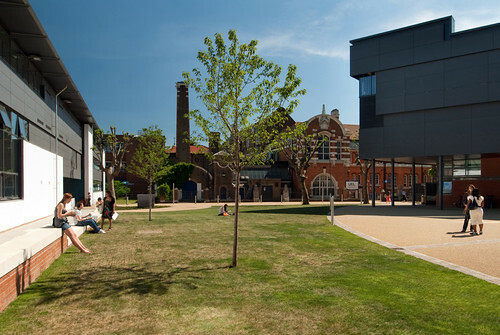 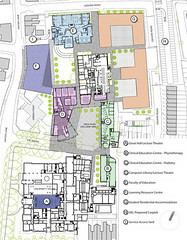 The building not only attempts to perform its functions well but also tries to repair an abandoned piece of city connecting an isolated group of houses on Ferns Road with other University buildings further down the street, as well as form one side of a new proposed College Green. 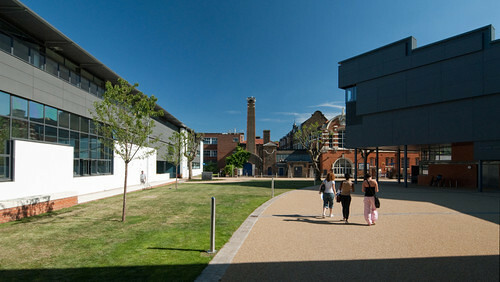 This is the first of what will be a number of steps on the campus to repair not only the university but also the surrounding area. 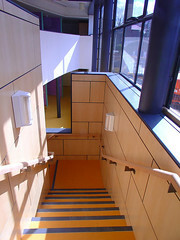 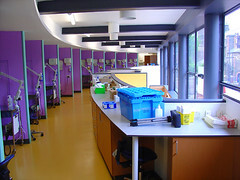 Construction of the project began on site in February 2005 and was completed in April 2006.